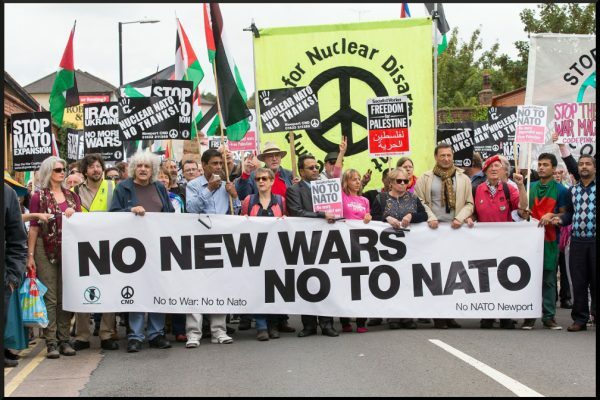 ‘Worthy’ and ‘Unworthy’ Victims – Stop the Wars at Home and Abroad! 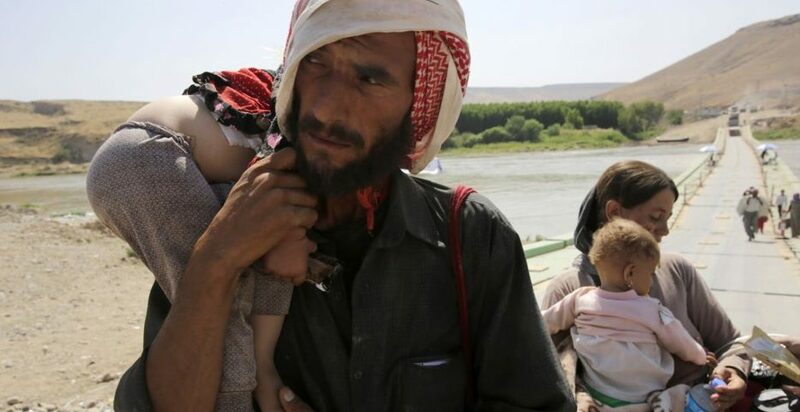 A man and his wife from the minority Yazidi sect, fleeing the violence in the Iraqi town of Sinjar, carry their children as they re-enter Iraq from Syria at the Iraqi-Syrian border crossing in Fishkhabour, Dohuk province, August 14, 2014. In their book Manufacturing Consent Edward Herman and Noam Chomsky distinguished between two kinds of victims: the worthy victims and the unworthy victims. The “worthy victims” are the victims (real and alleged) of leaders on the U.S. enemies list, such as Bashar al-Assad. The “unworthy victims” are those of the U.S. and its client states, such as Israel and Saudi Arabia. The U.S.-led alliance calling itself the “international community” is outraged when there are worthy victims. For example, U.S. Ambassador to the U.N. Nikki Haley holds up pictures in the Security Council of dead Syrian babies for the world to see. Worthy victims are granted human rights, and Assad deserves our outrage. Unworthy victims for example are the 50,000 Yemeni children who have died of starvation because of Saudi Arabia’s blockade of Yemen, including food, water and medicine. Unworthy victims are blamed for being victims and ignored by the international community and the mainstream media. Unworthy victims have no human rights. Yemen is a humanitarian disaster that is ignored. Saudi Arabia is a friend of the U.S. and Washington is helping the Saudi war effort with equipment and logistical support. For weeks now, tens of thousands of Gazans have been legally protesting for their right to return to their homes in Palestine. There is no outrage in the U.S. when Netanyahu and his regime orders Israeli soldiers to massacre them. Hundreds of Palestinians were gunned down on Land Day and during demonstrations for the Right to Return. Four more have been killed today and hundreds more wounded in the fourth week of the protests. But Netanyahu has every reason to believe that the U.S. will protect him, as it has many times in the past. Nikki Haley is not going to hold up pictures of dead Palestinian children. Instead she will shield Netanyahu from criticism, and accuse his critics of being anti-Semitic. Netanyahu’s victims are unworthy victims. And in what appears to be a major shift in U.S. foreign policy towards Israel and the Palestinians, the latest US State Department annual human rights report released today no longer labels the occupied Palestinian West Bank, including East Jerusalem, and Gaza, as “Occupied Territories,” the accurate legal term, as it had previously, reports the Institute for Middle East Understanding. The Palestinians that have been shot dead in Gaza were inside the Israeli enclosure that has been their prison for over a decade. They were on Palestinian land. They presented no danger to the Israeli soldiers that were on the Israeli side of the barricade. The soldiers had telescopic sights on their rifles and fired from a distance of over 100 yards away. Hundreds of Palestinians were shot with illegal fragmentation bullets that have been banned by the 1899 Hague Declaration. Netanyahu’s orders were illegal and the soldiers followed illegal orders. The Nuremberg Trials declared that “just following orders” is not a defense against war crimes. Two million Palestinian refugees have been trapped in Gaza for over a decade. Gaza has become an inhumane, open-air prison. Even former Tory Prime Minister David Cameron called it that. The people in Gaza have been cut off from the outside world. Israel controls everything and anything that goes in or out. What goes in is barely enough food for Gazans to survive. Netanyahu joked once he put Gaza on a diet. The sick, wounded and dying are not allowed to get out of Gaza to go to a hospital for medical treatment without Israeli permission. Netanyahu rarely gives that permission. Netanyahu’s victims are unworthy victims and are blamed for being victims. 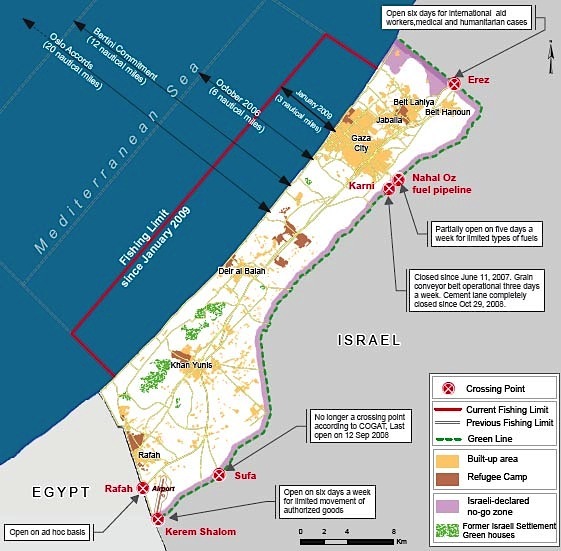 In 2006 Israel tightened the noose around Gaza by imposing a total blockade by air, land and sea. The supposed crime for which Israel imposed an illegal collective punishment on Gazans is that they democratically elected the wrong government, against Israel’s wishes. Instead of electing the Israeli controlled Palestinian National Liberation Movement, known as Fatah, Gazans elected the Islamic Resistance Movement, known as Hamas. Israel used to consider Fatah a terrorist organization, but now it does not because they are collaborators. Instead Israel, which secretly backed the formation of Hamas in a divide and conquer strategy, calls Hamas terrorists. Netanyahu then falsely brands the demonstrators terrorists. Israel has killed and wounded journalists reporting from Gaza. They are unworthy victims too. So there’s no outcry from the mainstream media. Instead it repeatedly accuses Russia’s president, Vladimir Putin, of (allegedly) killing journalists. Then there is a huge outcry because they are worthy victims. The U.S. has imposed economic sanctions on Russia. 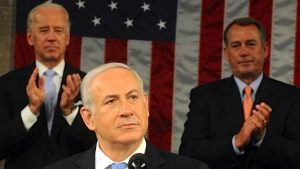 Israel gets billions of dollars in U.S. financial aid every year, regardless of what Netanyahu does. Putin is accused of invading Crimea when Russian troops were already legally deployed there and Crimeans voted in a referendum to rejoin their historical attachment to Russia. Putin is vilified for (allegedly) meddling in U.S. politics. Netanyahu gets standing ovations from joint sessions of Congress. The Israeli prime minister has been illegally occupying the West Bank of Palestine, and he is building more illegal Israeli colonies there, euphemistically called settlements. Meanwhile, Netanyahu thumbs his nose at international law. The U.S. has vetoed 43 U.N. Security Council resolutions against Israel. Haley fumes that Putin is an obstructionist for vetoing a U.N. resolution condemning Assad for an alleged chemical weapons attack, even before any investigation was begun. The U.S. tried to block an investigation by the Organization for the Prohibition of Chemical Weapons (OPCW) of the alleged chemical weapon attack site in Syria. The OPCW says it will investigate anyway. The U.N. Charter is a treaty that was signed by the President of the United States and ratified by the U.S. Senate. Under the U.S. Constitution the U.N. Charter is the “supreme law of the land” in the U.S., as well as internationally. We do not even know if a crime has been committed in Duma. There is considerable reason for doubt. Investigative journalist Seymour Hersh and others (Robert Fisk, Ron Paul, Jeffrey Sachs, former U.K. ambassador to Syria Peter Ford, Fox News Tucker Carlson, Larry Wilkerson, etc.) have raised serious doubts about the alleged chemical weapons attack by Assad. The unproven allegation of chemical weapons comes from U.S. backed terrorists that have been waging a war against the Syrian people for over seven years. The terrorists have been reported to have chemical weapons in their arsenal. If chemical weapons were used in any of the attacks they could have come from the terrorists themselves. It is well known that the U.S. has been behind the war against Assad, and that the U.S. admittedly is backing terrorists in a U.S. regime change project. The dead and wounded of U.S. aggression during the 21st century number in the millions of people in over half a dozen countries. The mainstream media ignores the magnitude of the wars of U.S. aggression, and the U.S. people mainly go about their day-to-day activities as if nothing is happening. Since the U.S. is allegedly a democracy and has freedom of the press, then U.S. citizens and the U.S. mainstream media are responsible for the actions of their government. Ignorance of the law about what their government is doing is not an excuse. Under international law the Palestinians have a right to resist the illegal military occupation of Palestine that has been going on since 1967. But Israel does not have the right to impose collective punishment, deny refugees the right to return home, to confiscate land, impose indefinite detention, torture prisoners and restrict the free movement of civilians; nor to confine them in inhumane living conditions in Gaza. Israel has systematically destroyed their homes and civilian infrastructure. Israel routinely shoots to kill anyone or anything entering a “no man’s land” buffer zone inside Gaza. It even has remote controlled machine guns and other indiscriminant instruments of death within the buffer zone. When tens of thousands of unarmed demonstrators approached the buffer zone, the Israeli military snippers were prepared to massacre them. And Netanyahu says Israel has the most moral army in the world. Under international law commanders giving the orders to shoot unarmed civilians and individual soldiers who do so could be charged with wars crimes by the International Criminal Court. That is not likely to happen anytime soon because the U.S. protects Israel and allows Netanyahu to literally get away with murder. Netanyahu’s victims are unworthy. David William Pear is an activist and progressive columnist writing on economic, political and social issues. He is a member of Veterans for Peace, Saint Pete for Peace, CodePink, and International Solidarity Movement. In 2016 he spent 10 weeks in Palestine with the Palestinian lead non-violent resistance group International Solidarity Movement. In November of 2015 he was a delegate with CodePink to Palestine to show solidarity with Palestinians. David returned to Palestine for 10 days in March 2018. He can be contacted at dwpear521(at)gmail.com. Previous Post:No Troops On the U.S.-Mexico Border!